A while ago, we posted a small teaser of an upcoming partnership with a new farm and a unique choice of meat: Grass Fed Bison.  One of the goals for the new year at NIKU Farms is to bring you a wider variety of meat options. To provide healthy, sustainable options that effectively support farmers continues to be our mission. We are excited to announce a whole range of Bison products from one of our new partner farms – Big Rock Bison. Located north of the GTA in Shallow Lake Ontario, Big Rock Bison focuses on four things when raising their high-quality bison: sustainability, community, transparency, and value. Heather and Mark Shouldice started Big Rock Bison after reading about the nutritional benefits of bison meat and finding that there was a shortage in the market for it, with high demand. Mark met with the Canadian Bison Association and found land in Ontario to start the farm. The bison were brought from Ontario and Saskatchewan, and Big Rock Bison was born! Grassland restoration is a major component of Big Rock’s farming operation. They work with mother nature to promote the growth of native grasses that their bison thrive on. Open to the public, Big Rock Bison fosters relationships based on trust with their customers and platforms like NIKU Farms. They are committed to creating a stress-free environment for their animals which are, of course, 100% grass fed and able to freely roam – as it should be. In the summer, the bison graze and feed on the grass from the land, and in winter, Big Rock feeds hay from the same land without the use of herbicides or pesticides. Like other NIKU products, Big Rock Bison produces bison meat that is traceable because the farm is involved in every part of the process of getting the meat to your plate. In addition to being grass-fed, the bison at Big Rock are raised sustainably. Big Rock uses a rotational farming method which is better for the land and for the bison. This method extends the grazing season and increases the soil’s resistance to drought. It also reduces wasted forage and increases soil fertility. We are so excited to bring you this new meat product offering from Big Rock Bison. If you’ve never tasted bison, you really should! It is incredibly nutrient dense meat without being tough or gamey and loses less of its quantity during cooking. Try our Bison Pack here – it comes with Premium Bison Steaks, Ground Bison, Bison Sausages, and delicious Bison Burgers.